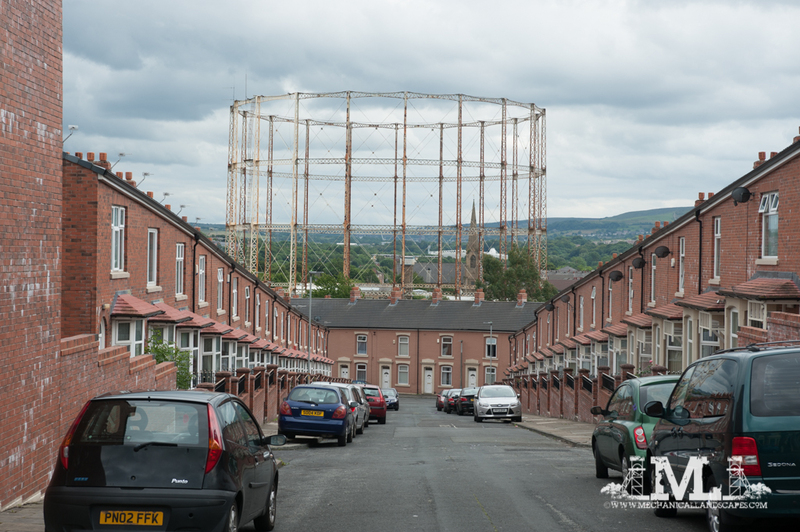 A few years ago I spent some time living in Blackburn, and my house was a mile or so away from this huge gas holder. To be honest I never really noticed it. I mean, I knew it was there, but it was just part of the local landscape. I’ve no particular interest in gas holders as such but I spent a day with a friend who has an interest in them, and as we were passing Blackburn, I pulled off the M65 to have a look to see if it was still there. Indeed it was, albeit looking a bit run down and tatty now. National Grid, who look after the gas delivery infrastructure, are slowly demolishing the nations gasholders as they are no longer needed. Some are listed, so will be preserved, but the majority will be cleared away. So here’s a photograph for posterity really, as it’s a part of our ever-changing urban landscape that will soon be gone forever. Previous Post #415 – Leigh Spinners Mill Engine – The Giant Awakes………..
That is a very interesting BBC article, Andy. I didn’t realise they were all disappearing. Neither did I until recently! I know some of the big storage towers like at southport had gone, but it will change our urban landscape forever when they have all gone. The only one I tend to see (and that is only very occasionally) is on the Wirral approach to the Kingsway Tunnel. Good that you have captured a record of the Blackburn one. I drive past my local ones in Chorley regularly, I suppose I should photograph them quick! Wrong time of year though, as they’re the telescopic ones that disappear from view when there’s little demand for gas, like in summer. Not that we’re having much of a summer……..